How often has one person affected humanity to such a degree that were the fruits of his labor withdrawn immediately from our day-to-day existence, the world as we know it … would essentially stop? This story is about one such real-life person. And, we will interview the pre-eminent world authority on this person, Marc J. Seifer, who wrote his biography. Marc’s book has been highly praised by such diverse sources as the New York Times, M.I.T and the American Academy for the Advancement of Science. At the end of this article, you'll be asked a timely timeless question ... email us your answer and you will be registered to win a copy of Marc's book. 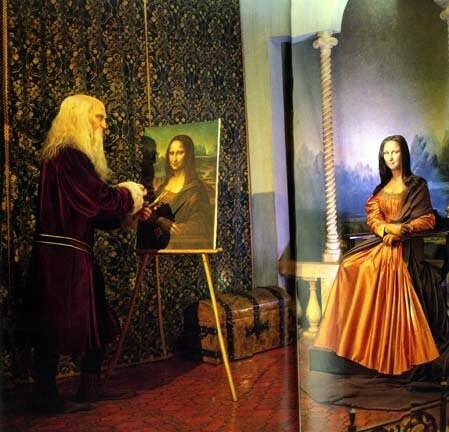 Leonardo da Vinci has a person’s mind spawned such a plethora of humanity-elevating ideas. You could take away da Vinci, and the world would be lessened by the loss of art, brilliance of character and thought, and would go on - but not this person. Lights would go off around the world. Trains halt. Planes would fall from the sky. He was the “Father of Radio." Ahh… you say, I know who that is. But Marconi did use many of his patents, and historically speaking, was a much better businessman. So much so that history books credit Marconi with inventing radio. The United States Supreme Court righted the wrong in 1943. But it was too late for this person, this wizardly inventor … he had just died. What about flourescent lights, neon lights, fax machines? Gone too. He was mucking around with them in the early 1890’s. STEVE! You just screwed up. You made a typo. 1890’s? This person was demonstrating wireless electricity and lights at the World's Fair in 1893. X-Rays? You thought Roentgen? Not really. Not without him. Wireless communications, wireless transmission of power? HAVE YOU FIGURED OUT WHO THIS PERSON IS YET? Well you could try the history books. He’s not there. He's been removed. A great disservice to humanity, history and truth. He was on the cover of Time Magazine on July 20,1931. Yes … I did too. Let me give you some more of his inventions. Robotics? Particle-beam Weapons? The original inventor of "STAR WARS" weapons? Not one person. Surely not one person could bring to this earth such a diverse array of inventions over a single life span … let alone history be silent about him. Hard to believe, but true. There’s more. Remote control, e.g., garage-door opener, remote-control toys, ozone-producing machines, bladeless turbines and pumps, reactive jet dirigible (precursor to Harrier jet), Hovercraft Flivver plane (precursor to Osprey helicopter/aircraft). Surely we have crossed the boundary from science fiction into fantasy, right? We have crossed the boundary back from the systematic removal of the world’s greatest genius from the history books. And believe it or not, it was mainly because he wasn't a good businessman. He was altruistic - preferring to try to better humanity’s lot and improve living conditions for all human beings. He created a distribution system that could deliver wireless energy anywhere on the globe. Once his financial backers learned the inventors’ true intentions, and that there was no way to meter and charge for this energy, they withdrew financial support. It drove him out of town, and in time, history. To that end, he was destroyed, and all have suffered since. What I mention above are just some of the remains of his contributions. He failed to patent a lot of his ideas, and he wound up simply giving them away – like the telephone speaker. Steve: What are some of Tesla’s most notable inventions? Steve: How many of his notable inventions are typically credited to others? Marc: A number of these inventions are often wrongly credited to others. Tom Edison may have invented the first workable electric light, but without Tesla’s invention of AC electrical transmission, these lightbulbs and corresponding lighting systems would have remained highly inefficient. So the concept of transmitting electricity for lighting and power for long distances is often wrongly credited to Tom Edison and Elihu Thomson of the Thomson Houston company, (later GE), when in fact the system was invented by Tesla and moved into the market by George Westinghouse. Steve: The perfect partnership of Westinghouse and Tesla later turned imperfect and financially devastated Tesla. He agreed to waive $2.50 per-watt royalties as contractually agreed to by Westinghouse in order to get his AC system to the market. He knew it would immeasurably and beneficially change the world forever. Tesla felt no one else could, or would, do it successfully. His good faith gesture eventually cost him $billions (with a "b") of dollars. The idea of harnessing alternating current efficiently is Tesla’s creation, but it is sometimes wrongly attributed to Charles Steinmetz, a brilliant mathematician who worked for General Electric. Steinmetz wrote two key textbooks on the AC polyphase system but neglected to put Tesla’s name in these books. This would be equivalent to writing books on the Theory of Relativity and forgetting to mention the name of Einstein! The radio is often wrongly attributed to Marconi. Marconi was the first inventor to send a Morse-coded signal across the Atlantic. This invention, however, is missing most of the key components to what later became the radio. Marconi was using Hertz’ spark gap method to create the impulses. To send complex forms of information such as voice, pictures and wireless power, (which led to the radio, TV and cell phone) one needs continuous frequencies. These are actually Tesla currents. 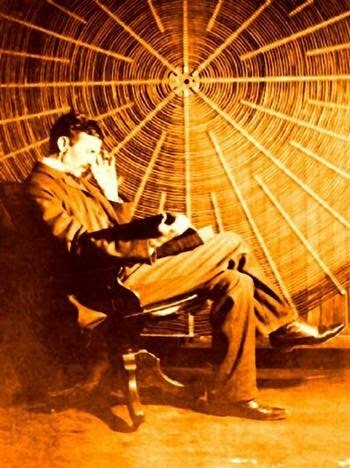 Tesla’s work predates Marconi by about four years and makes very clear that one needs continuous waves, resonant frequencies, transmitting equipment, a ground connection and a receiver. Tesla was also the first to display a remote controlled robot, which he called the “teleautomaton,” which was a boat that responded to his wireless signals. This was in 1898 in Madison Square Garden. The invention responded to a combination of frequencies and laid the groundwork for such devices as the garage-door opener, the TV remote, radio guidance systems and cell-phone technology. By creating, sending and receiving equipment that could respond to combined frequencies, Tesla was able to create an unlimited number of wireless channels, and that was as far back as 1901 when he got that patent. Steve: When/where did Tesla first exhibit wireless/fluorescent lights etc. to the public? Marc: Tesla first exhibited wireless devices at a major conference at Columbia University in May of 1891. Present were many engineers such as Professor Michael Pupin, physics professor at Columbia University; Elihu Thomson, later head of GE; Robert Millikan, a later-day Nobel prizewinner for his work on cosmic rays; and Elmer Sperry, the inventor of the gyroscope. Tesla actually displayed his rotating egg at that time, which explained his rotating magnetic field. This device allowed alternating current to be harnessed efficiently for the first time. Steve: And the practical implication of this was? Marc: This system laid the basis for the great turbines at Niagara Falls. Tesla’s lecture was such a success, that he repeated it in Philadelphia, St. Louis and the Chicago World’s Fair of 1891 (in America) and also at the Royal Societies in London and Paris. Present at these lectures were all of the great scientists of the day such as Lord Rayleigh, Ernst Rutherford (Nobel Prize for structure of the atom), JJ Thompson (Nobel prize for discovery of the electron), Lord Kelvin, Sir William Crookes (Crookes tubes), Sir Oliver Lodge (wireless), Dewar (flask), Fleming & Preece (who would later both work for Marconi), and in France, d’Arsenoval who invented electrotheropeutic machines based on Tesla’s work. At these lectures, Tesla laid out all of the major principles to the radio and even the precursor to such devices as the TV tube and fax machine. 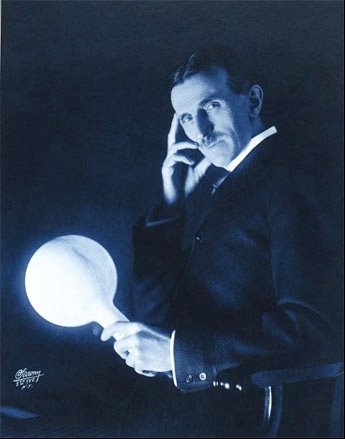 Tesla displayed wireless cold lamps, which was the invention of fluorescent and neon lights as well as the principle of selective tuning, that is, how to create separate channels on the radio. 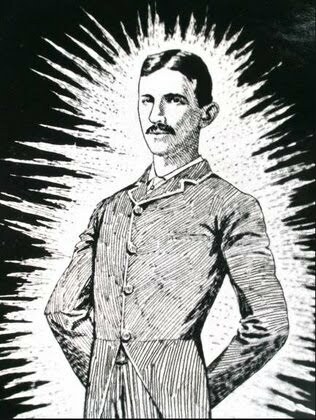 As a finale, Tesla would send hundreds of thousands of volts through his body to show the world that his AC system was safe. Tesla had experimented and realized that he could generate very high voltages (that is, high frequencies) but keep the amperage (power) very low. The electricity would essentially surround his body and do no harm. When sitting on a Tesla coil this way, Tesla could hold up lamps that would illuminate, or he could transmit sparks from metal caps attached to his fingertips. Further, Tesla also speculated that the atom may be set up like a solar system. Rutherford, working with Niels Bohr 10 years later would say the very same thing, and both men got a Nobel Prize for their discovery. Bohr spoke at Tesla’s 100th birthday, held in 1956 when the Institute Electrotechnical Committee designated the word “tesla” as the measure of magnetic flux density. MRIs are measured in teslas. 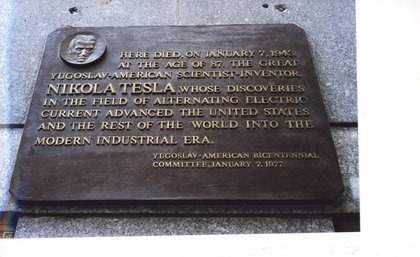 After 1956, Tesla could stand beside such other great scientists as Ampere (amps), Volta (volts), Hertz and Watt. Marc: This refers to the battle to harness Niagara Falls between Thomas Edison, of Edison Electric, who was touting direct current (DC); Elihu Thomson of Thomson Houston, who was working with alternating current (AC) and George Westinghouse, who also had an AC system. The difference was that Westinghouse had Tesla’s AC system, which was the only one to do away with the commutator, a device that greatly limited the distance that electricity could be transmitted. Both the Edison DC system and the Elihu Thomson AC systems could only transmit current about a mile. The Tesla AC system under Westinghouse could transmit electrical power hundreds of miles. This meant that for the first time in history, major factories would not have to sit right beside waterfalls. The Tesla/Westinghouse AC system was a clean, energy-renewable source of continuous power. From one plant at Niagara Falls, electric power could be sent hundreds of miles to light the homes of hundreds of thousands of customers and also run tens of thousand of factories. It was a monumental achievement, which is basically unchanged today. Steve: What was the biggest difference between Tesla and Edison, besides Tesla had a higher goal – helping humanity? Edison wanted to help humanity but make a buckaroo too. doings, knowing that a little theory and calculation would have saved him 90 percent of his labor." "I knew Tesla. He worked for me once and accomplished not a little." Marc: There are a number of major differences between Tesla and Edison. In general, Edison was able to take the ideas of others and construct the first practical machines. 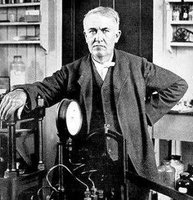 In terms of originality, Edison may not have been the first to light a lightbulb, but he was definitely the first to make efficient lightbulbs. I do think his invention of the phonograph was a great leap forward, which was essentially comparable to any one of Tesla’s great inventions. Edison built the first practical motion-picture camera. Edison also liked to work with many workers. He knew how to bring his inventions to market. Tesla, on the other hand, was more of a planter of seeds. He let others raise the crops. From Tesla’s point of view, he said that he was a creator of new principles. Tesla’s original creations, many listed above, include the rotating magnetic field, wireless fluorescent tubes, the principles to the wireless communication of complex forms of information (e.g., voice and pictures), the idea of remote control, robotics, and also entirely different areas such as a unique bladeless steam turbine that he hoped would replace the gasoline engine. He also created two forms of aircraft: (1) the reactive jet dirigible, which led to the vectored thrust aircraft such as the Harrier and also the flying wing or stealth bomber, and (2) his “flivver” plane that took off like a helicopter and then rotated the propeller into the airplane position. This tilt-rotor aircraft evolved into the Osprey helicopter/airplane used by the military today. He also invented particle-beam weapons. 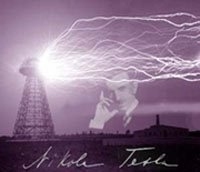 Steve: Resonance – Tesla’s vision of the wireless transmission of energy using earth’s resonant capabilities. Was that really practicable? And if so, is it still? Marc: Tesla had the ability to transmit great amounts of electrical power by means of wireless. Most wireless systems send a signal, and then a battery in the receiver (e.g., a cell phone) provides the additional power needed to run the machine. Tesla had that exact same idea at the turn of the century. He also said that he could jump large amounts of power by wireless means from, say, Niagara Falls to the Sahara Desert. By knowing the earth’s resonant frequency, a sending tower could jump the energy to a receiving tower thousands of miles away. And then from the receiving tower, electrical energy could be distributed locally either by using wires and by wireless means. Steve: He was testing this at Wardenclyffe? Steve: And what went wrong? Marc: Yes. Financing was pulled when it was discovered that he intended to give the world free electricity – anywhere in the world - but forgot to invent a meter to charge for it. someone fetch a child of five." Marc: I think Tesla could probably have done this, but it is still unproven. 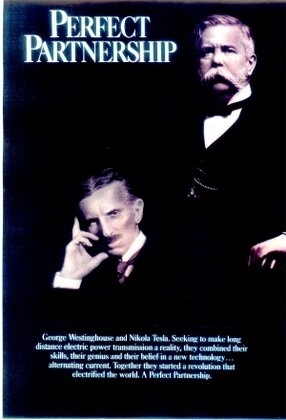 In theory, Tesla hoped to transmit electrical power from one planet to another by similar means. Steve: What future invention (since his death) will Tesla be most remembered for (if properly attributed)? Marc: I think the one I just discussed. Let’s say we set up a base on the moon. If we somehow set up an electrical tower tuned to the Earth’s resonant frequency and use that system to send energy to receiving stations on the moon, this invention will be attributed to Tesla. Steve: Now … I have to ask. 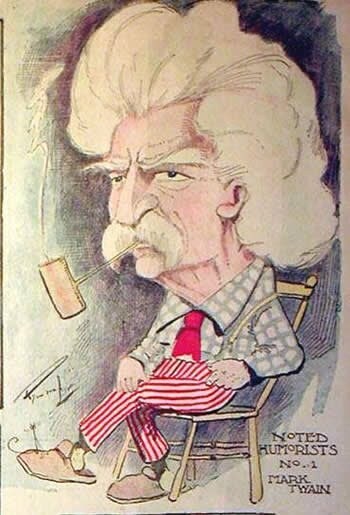 I asterisked* number 34 above on the list of Tesla’s inventions – “the machine that stimulates laxative effect.” I know it has something to do with Mark Twain – one of my favorite writers of all time. Tesla and Twain were friends? And what about this machine? Marc: Yes, dear friends. And Tesla had a diabolical sense of humor as well. 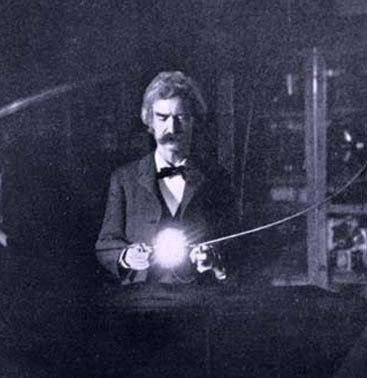 Twain used to love to come to his laboratory and witness Tesla’s fascinating experiments. But one day, for entertainment, Tesla convinced his good friend Mark Twain to test out a vibrating platform in his Manhattan lab. Twain took him up on the offer and found it to his liking. When Tesla commanded Twain to come down off the platform, Twain refused because he was having a good time. A few minutes later Twain ran from the device. It seems that Tesla had deliberately neglected to tell Twain that the vibration tended to cause diarrhea. Steve: How does this story about this wizardly incandescent lightning-strike of genius, Tesla, end? Marc: Sad. Tesla, the iconic genius, was left out of the history books. He should have been a billionaire, but died essentially penniless on January 7th, 1943, at the age of 87. He was living in room 3327 on the 33rd floor of the Hotel New Yorker in Manhattan, with a flock of pigeons - whom he considered his only friends. Alas! the wings that lift the mind no aid. Steve: Thanks Marc. I appreciate you taking the time to talk with us. Marc: You're welcome. Your readers can also see an additional short movie on the Tesla movie at my website, http://www.marcseifer.com. 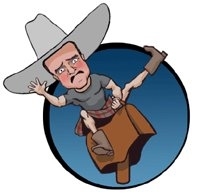 This short is narrated by the great character actor JT Walsh. Where does one such as Nikola Tesla fit in our world? Unquestionably society would be much further advanced today if 100 hundred years ago, philanthropists like Bill Gates or Bono would have stood behind and supported Tesla. Every human being in this world would have benefited had Tesla's seeds been adequately watered, nutured, cherished and harvested. But it's all about money. How much does a gallon of gas cost right now? 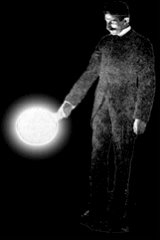 Email us your thoughts on "Where does one such as Nikola Tesla fit in our world?" We'll register you to win a copy of “Wizard: The Life and Times of Nikola Tesla.” . About Marc J. Seifer, Ph.D., author “Wizard: The Life and Times of Nikola Tesla.” Dr. Seifer’s latest book is the novel, “Staretz Encounter: A New Age Thriller,” available at Amazon.com and through his website. Marc also has a screenplay on Tesla's life co-written with Visual FX Editor Tim Eaton. Tim has worked for George Lucas at ILM and Sony Imageworks on such movies as Back to the Future, Twister, Men in Black, The Mummy Returns, Deep Impact, Galaxy Quest, The Time Machine, Titanic, The Polar Express and Beowulf. Marc J. Seifer was th Keynote Speaker on Tesla at the Professional Engineers of Ontario Symposium, April 2006 celebrating Tesla’s 150’s birthday. Marc has been featured in The Washington Post, Scientific American, Publisher's Weekly, Rhode Island Monthly, MITs Technology Review and The New York Times. In Europe, he has appeared in The Economist, Nature and New Scientist. With publications in Wired, Cerebrum, Civilization, Extraordinary Science, Lawyer’s Weekly, Journal of Psychohistory and Psychiatric Clinics of North America, Dr. Seifer is internationally recognized as an expert on the inventor Nikola Tesla (the subject of his doctoral dissertation). Past editor of MetaScience, A New Age Journal on Consciousness and The Journal of the American Society of Professional Graphologists, his articles have been translated into Czech, Serbian,Spanish, Hebrew, Portuguese, and German. He has lectured at the United Nations in New York; Federal Reserve Bank in Boston; Kings College; Cambridge University and Oxford University in England; the University of Vancouver in Canada; in Jerusalem, Israel; Zagreb, Yugoslavia; Bethesda, Maryland; City College of New York; Brandeis University; Colorado College; Wardenclyffe Long Island; Lucas Films Industrial Light & Magic; Cranbrook Retreat and West Point Military Academy. Dr. Seifer has appeared on the History Channel for his work on the Howard Hughes Mormon Will, on AP International for his analysis of Bin Laden’s signature, on PBS and also web radio. His book “Wizard: The Life and Times of Nikola Tesla” is “highly recommended” by the American Association for the Advancement of Science. He has a B.S. from the University of Rhode Island, five semesters of graphology from New School University, an M.A. from the University of Chicago and Ph.D. from Saybrook Institute. With over 30 years of experience as a handwriting expert, including a decade of work for the Fraud Unit of the Rhode Island Attorney General’s Office, he has testified in civil, criminal and federal court. 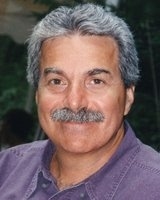 Dr. Seifer is also a writer and visiting lecturer in Psychology at Roger Williams University. Steve Kayser is an award-winning business writer that has been featured in a marketing best practices case study by MarketingSherpa, "Purple Cows" (by Seth Godin), "A Marketer's Guide to e-Newsletter Publishing," Innovation Quarterly, B2B Marketing Trends, and Faces of E-Content Magazine. His writings have appeared in Corporate Finance Review Magazine, CEO Refresher, Entrepreneur Magazine, Business 2.0, and Fast Company Magazine among others. In his spare time, Steve models kilts for Un-Vanity, Non-GQ and The Manly Kilt Wearing Man's monthly magazines. Steve also headlines fundraising events for his run at an Olympic Gold Medal in the kilt-wearing mechanical bull riding competition to be held in Cincinnati, Ohio in 2050. For more info, you can contact Steve at skayser@cincom.com.